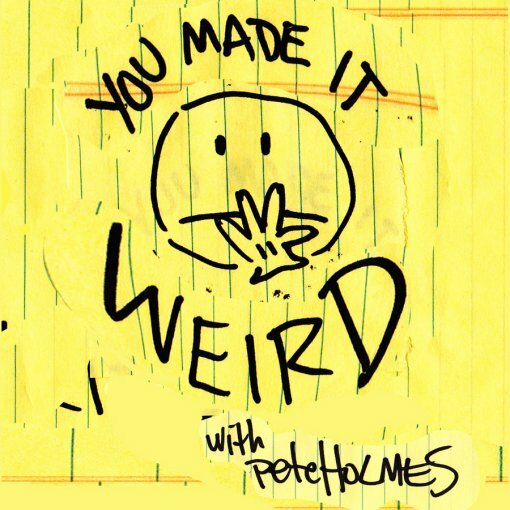 Comedian Pete Holmes, who some of you might know as the voice of the E-Trade baby, also runs a popular podcast called on the Nerdist Network entitled You Made It Weird. YMIW, a self described “homage” to WTF with Marc Maron, just had it’s live podcast debut at SXSW 2012 and it’s coming to the Gramercy Theater in NYC on April 7 for what might be its second live show ever (Buy Tickets). No guests have been announced as of yet for Pete’s live show, but you can expect some comedians you’ve probably heard of to show up. If you’re a fan of YMIW, (or if you just like entering contests), I’ve got some good news for you, I’ve got five pairs of tickets to give away to the Gramercy Theatre show. Contest ends on March 30 at midnight, 1 entry per household, US residents only, must be 16+ unless accompanied by an adult. Contest entry form and more Pete Holmes tour dates after the jump. PS Comedy Central’s Ugly Americans, which features some voice work by Pete Holmes, returned to the air on March 13. Cool stuff, keep it coming!